32GB SD card Intercom Mode Hands-free dual-way communication Conversation duration 120s Keypad Touch button Power Consumption 400mA Max. 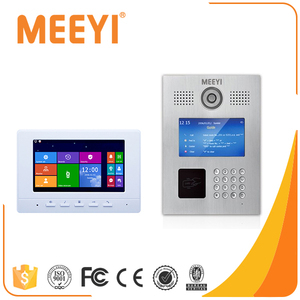 Dual-way Intercom, Call Transfer Among Monitors This item is handsfree and available for dual-way It supports communication between indoor monitor and outdoor camera, but also supports communication between monitor and monitor. 32GB SD card View Angle pinhole lens:3.7mm 68&ordm; Intercom Mode Hands-free dual-way communication Model Model Conversation duration 120s LEDs For Night LED IR LEDs(120&ordm;) Keypad Touch button Power Consumption 200mA Max. 1. We can offer the samples free for testing, and the customers should pay the freight. 2. The warranty is two-three years 3. We are the customs registered, and have the authorization to do the Export & Import business. 4. We have customer service center, you can ask for help from our customer service center, and we will action accordingly. 264 Image Sensor 1/4&rdquo; 1MP CMOS Lens 3.6mm Angle of View D:70&deg; H:60&deg; Day/Night Color Image Audio Audio Compression G. Technical Support : With an outstanding CCTV professional team, we are able to offer technical support before & after sales,from hardware evaluation to softwar analysis. Fast Delivery : To shorten leading time, we get most of our products in stock and deliver within 1~3 days. Counter intercom system window intercom E320 E320 Bank/Box Office/Window intercom Kits East to install,only one wire for master station ,substation connection Functions and Features: 1)Hands free two-way talkback full automaticity,mike inside the substation 2 Microcomputer controled circuit with squelch function,can thoroughly solve echo and squeal problems. 3) Adopt high-powered mic,elegant appearance, voice is lifelike, clear 4) Easy installation,only one wire for master station and substation connection. 5) Volume of master station and substation can be adjusted separately 6) With recorder jack Technical Parameters: Working voltage: 16V Working current: &le;300mA Transmit Frequency: 315MHz&plusmn;75k Environment tem: -35~60 Dimension: 155x90x65 mm Payment: T/T . 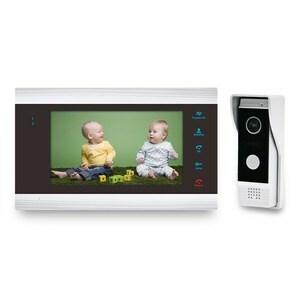 The outdoor unit serves as a doorbell with built-in camera to capture the scenes outside the door. The indoor unit is slim and back-mounted on wall to save your home space. 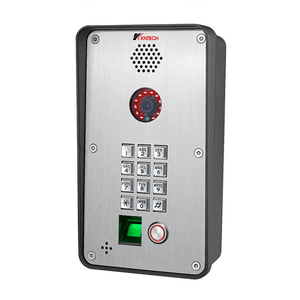 One outdoor unit can also call up to six indoor units Electric lock-control function. 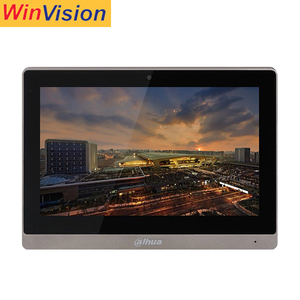 We supply over 1,000pcs tablet PC every day to more than 40 countries and regions all over the world. 6.Can we have our own logo printed on the product or package9 A:For sample,it usually be neutral. 7.How much will the customized logo cost9 A:For big order, if your quantity up to our MOQ, it usually be free. 3 YRS Shenzhen Thinmoo Technology Co., Ltd. Bulk order need to check with us according to your order quantity. 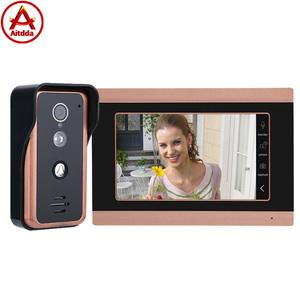 Need more information about the Door To Door 7" HD Video Door Phone System/IP Intercom , please contact our sales team , we will reply you within 10 hours. 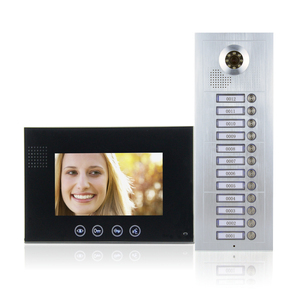 we can make sure the best quality of Door To Door 7" HD Video Door Phone System/IP Intercom and fast delivery time . Alibaba.com offers 23,111 system intercom products. About 3% of these are other telecommunications products, 2% are access control system. A wide variety of system intercom options are available to you, such as li-ion, handheld, and ip camera. You can also choose from indoor, door, and personal. As well as from free samples, paid samples. 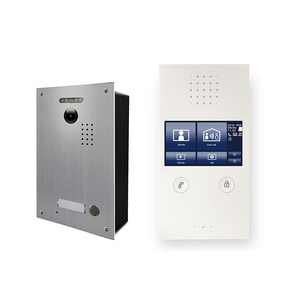 There are 23,111 system intercom suppliers, mainly located in Asia. The top supplying country is China (Mainland), which supply 100% of system intercom respectively. 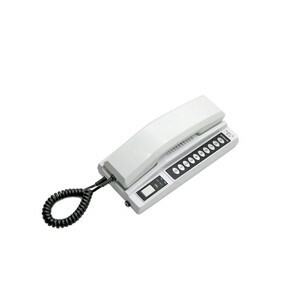 System intercom products are most popular in Western Europe, North America, and Northern Europe. You can ensure product safety by selecting from certified suppliers, including 9,187 with ISO9001, 1,445 with Other, and 362 with ISO14001 certification.